Russia is not currently contemplating a boycott of next year’s Winter Olympic Games in Pyeongchang but the final decision will rest with President Vladimir Putin, the Kremlin admitted today. The International Olympic Committee (IOC) Executive Board are expected to rule here tomorrow that Russia should be banned from taking part under their own flag at Pyeongchang 2018 following allegations of institutionalised doping. Putin’s spokesman Dmitry Peskov told a press briefing in Moscow today that it is not something currently under consideration. “No, it is not under consideration,” he said, according to Russia’s official state news agency TASS. 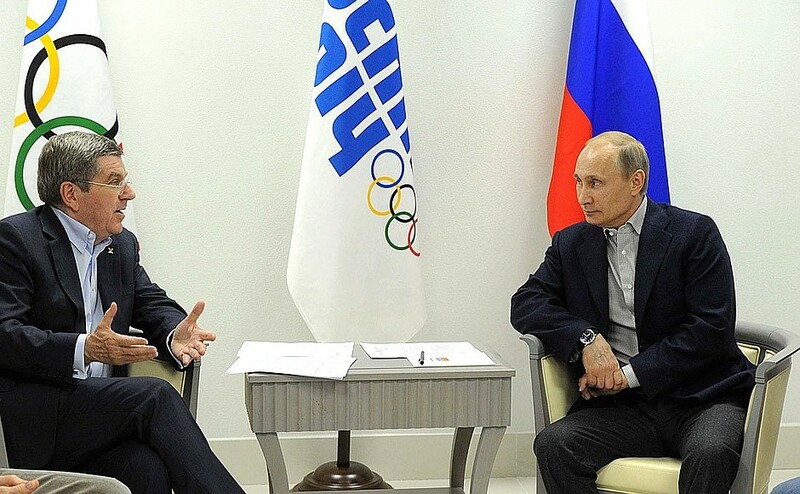 It will be up to Putin, though, to ultimately decide whether the country’s athletes are allowed to compete following the official IOC decision tomorrow. Putin is due to make a major televised nationwide address in Russia on Wednesday (December 6) about volunteerism where he is expected to address the matter of the country’s participation at Pyeongchang 2018. The IOC have, insidethegames understands, already contacted its official uniform supplier Nike to design kit for Russian athletes to wear as neutral athletes. Several different factions in Moscow have been trying to influence what action Putin will take if Russia are banned. These range from accepting the decision and being conciliatory on the condition that missing Pyeongchang 2018 will mark the only sanction Russia faces and will be allowed to compete under its own flag at future Olympic Games, including Tokyo 2020, to aggressive retaliation. The fear is, though, this could drag the crisis on for several more years and Russian sport could become increasingly isolated. The wording of the IOC statement after tomorrow’s announcement is thought to be crucial in determining what action Putin will eventually order. A separate Commission chaired by former Swiss President Samuel Schmid has been investigating allegations of institutionalised doping in Russia. They completed their report today and copies of his verdict delivered to the IOC Executive Board members in time for their meeting tomorrow. Both Oswald and Schmid are due to present their findings to the IOC Executive Board at 1.30 pm tomorrow. A total of four-and-a-half hours has been set aside to discuss the issue before Bach is scheduled to officially announce the decision at a press conference at 7.30pm. It is the findings of the Schmid Commission which are expected to form the basis of the IOC’s decision, which in turn will be heavily influenced by the direction they are told to take by its President Thomas Bach. The IAAF enforced guidelines which including athletes having to show they were not directly implicated “in any way by their National Federation’s failure to put in place adequate systems to protect and promote clean athletes”. A key criteria expected to be adopted by the IOC is that anyone named on a key database obtained last month by WADA, reportedly containing the names of several thousand Russian athletes allegedly involved in a doping programme between January 2012 and August 2015, is not allowed to compete at Pyeongchang 2018.